A new name in the list of 2012 Super Bowl Advertiser list just popped up. AdAge lists Insurance company MetLife in their Super Bowl 2012 Advertiser list. MetLife is a global provider of insurance, annuities and employee benefit programs, serving 90 million customers in over 60 countries. MetLife is still advertising with Snoopy from the legendary Peanuts cartoons. The company has started to advertise with the Peanuts characters back in 1985. Snoopy stayed on as the MetLife Brand ambassador. 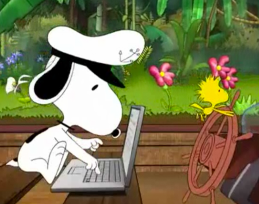 Will Snoopy star in the MetLife Super Bowl 2012 Ad? The MetLife Super Bowl 2012 Commercial is official. It has the Peanuts and celebrities starring. A Snoopy Super Bowl Ad might not be really exiting. How about Ferris Bueller? Maybe the MetLife Super Bowl Ad is the mystery commercial bringing back Matthew Broderick as Ferris Bueller. As reported earlier today, a 10 second teaser video appeared for a Super Bowl ad with Ferris Bueller, but without reference who the advertiser is. So far I could not find any information about MetLife and possible Super Bowl plans. What pops up is the MetLife Stadium. The Super Bowl XLVIII in 2014 will be played in the MetLife Stadium, home of the New York Giants and the New York Jets.